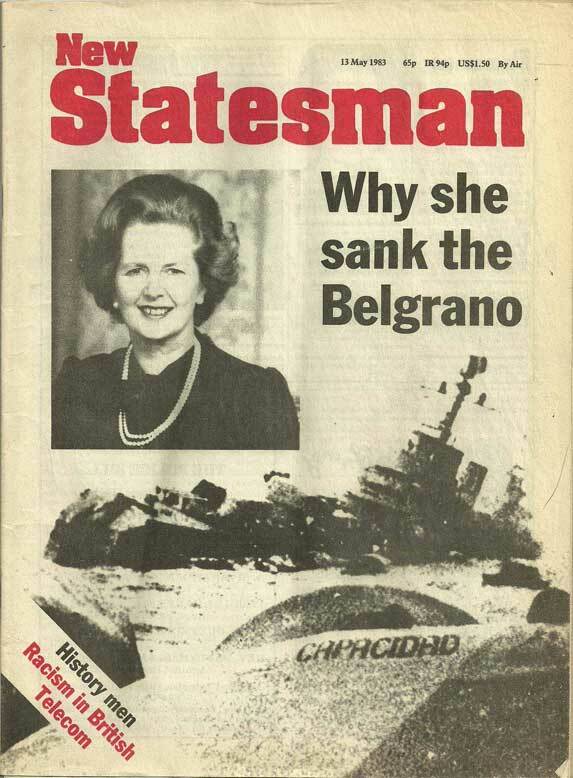 Belgrano Inquiry :: Is Maggie Thatcher a War Criminal? 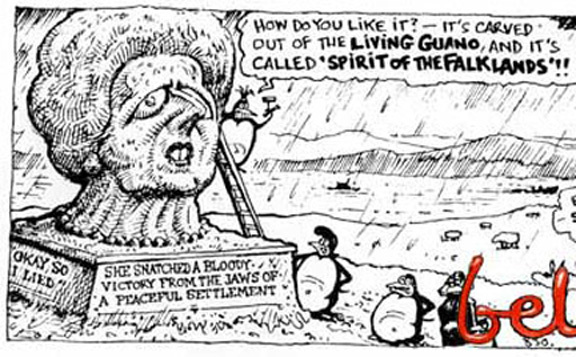 We have the act itself (the sinking of a ship), as well as the end to be gained (keep the British government in power and torpedo a peace initiative) and the circumstances surrounding it (an attack outside the exclusion zone in an undeclared war). The History of the south Atlantic conflict The War for the Malvinas Ruben Moro 1989, p.165. The ARA General Belgrano was an Argentine Navy cruiser which was controversially sunk by a British submarine during the 1982 Falklands War as she sailed away from the conflict zone. 323 people died, mainly young sea cadets. Originally a US Navy cruiser, launched in 1938, the ship survived the Japanese attack on Pearl Harbor and was decommissioned from the US Navy in 1946. In 1951, the ship was sold to Argentina. In 1956, the ship was renamed ARA General Belgrano after a hero of the Argentine war of independence. On April 26th, 1982, the General Belgrano, accompanied by two destroyers, left the port of Ushuaia in southern Argentina. On April 29th, the Argentine task group began patrolling South of the Falkland Islands. On the following day, the ship was detected by the British nuclear submarine HMS Conqueror which gradually closed over the next day. On May 2nd, HMS Conqueror fired three Mk 8 mod 4 torpedoes, two of which hit the Belgrano. With the ship holed, no electrical power, and unable to pump out water, the Belgrano soon began to list to port and sink towards the bow. Captain Hector Bonzo therefore ordered the crew to abandon ship using the seventy-odd rubber dingys. Tragically, the Belgrano’s two escorts did not know that something had happened to the Belgrano and continued on a westward course. By the time that the escorts realized something had happened to the Belgrano, it was already dark, the weather had worsened, and the Belgrano’s life rafts had been scattered. 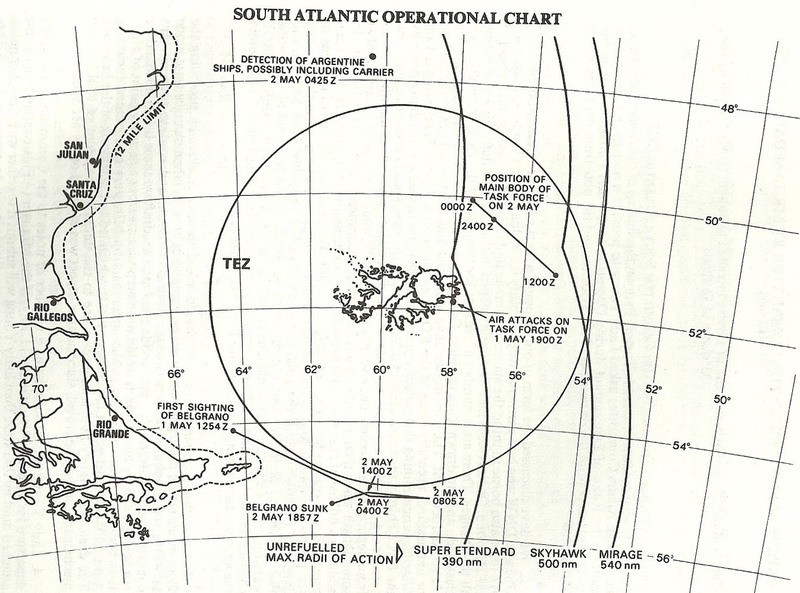 Some argue that, the ship being outside the British-declared Total Exclusion Zone would not affect this analysis, since the British Government stated on April 23rd, that ‘the approach’ of any warship or aircraft ‘which could amount to a threat to interfere with the mission of the British forces in the South Atlantic’ would encounter an ‘appropriate’ response. 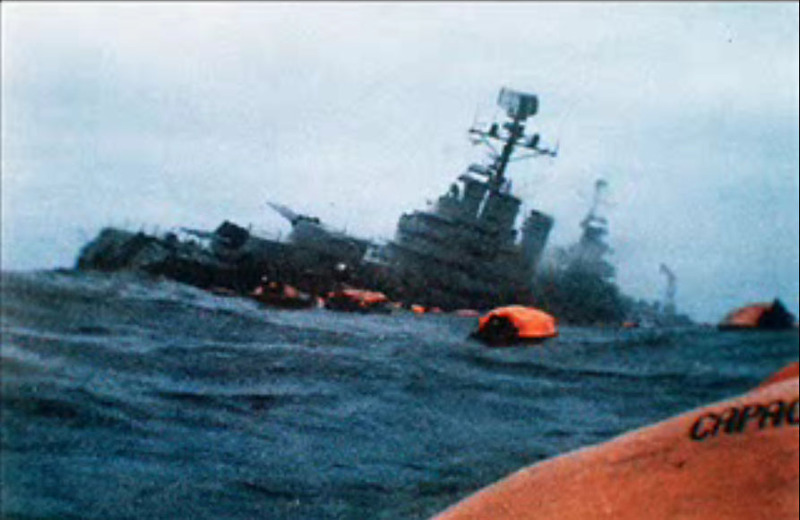 The Belgrano was neither ‘approaching’ the task force and was it a ‘threat’? That statement was put out while the British task force was still travelling South, as a warning that any approaching aircraft etc might be shot. Once the Task Force had arrived, it then announced on 28 April the Total Exclusion Zone – and, that would have superceded an earlier statement. 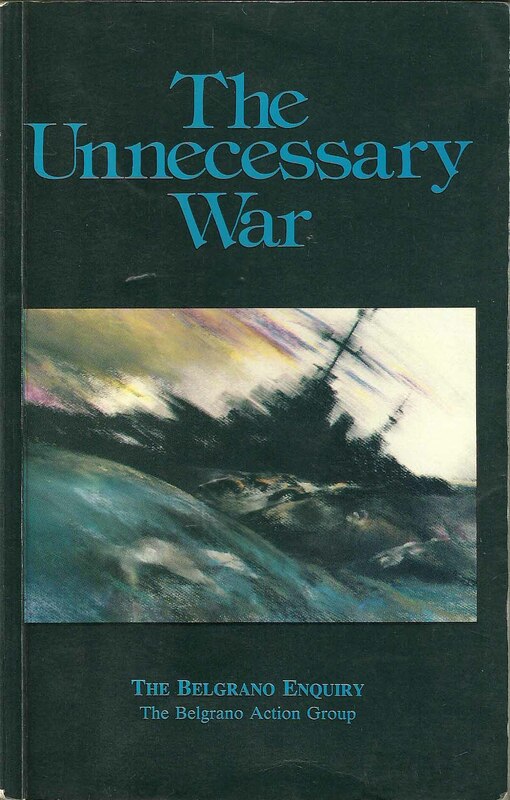 War was not declared, that is why these definitions were important. Was it? Debate has raged on this issue, mostly misinformed due to the torrent of British MOD fabrications. This website will enable you to have that calm debate you always wanted to, but based on correct info. The debate over whether the British attack took place within the international rules to be respected in conflict or outside, is controversial. Probably resolving the issue will be the function of legal historians, politicians and diplomats. The reality is that the cruiser was sunk by breaking rules, but the international community seems to have taken over the matter, not mostly sharing this view. For Argentines, the idea that the cruiser was sunk in violation of the rules will remain as a manifestation of the Argentine claim to sovereignty, though the world does not share this view and only historians can give a more definitive opinion about it. Six hours after the abortive Argenine attempt to attack, on May 1st, he gave the order to retire. That is important as a statement by the man who was the Commander-in-Chief of the Argentine South Atlantic Theatre of Operations. In 1994, Argentina added its claim to the islands to the Argentine constitution, stating that this claim must be pursued in a manner “respectful of the way of life of their inhabitants and according to the principles of international law.” It would be strange if also in 1994 the Argentine government conceded that the sinking of the Belgrano had been a “legal act of war?” The evidence heard at the Belgrano Inquiry – here summarised – offers an alternative view. You decide. It would have been a legal act of war if the Belgrano had either the intention or the capability to threaten Britain’s Task Force. Did it? That depends upon what its mission was. Arguments of ‘military necessity’ for sinking have a logistical problem: had it been perceived as a threat to the Task Force, that would have happened on May 1st, while it was sailing East, towards the Task Force. That didn’t happen. Only after it had turned round and had been sailing East, for 11 hours, away from the fleet, was it sunk. That’s what it was doing.